Was It Love At First Sight? When it is number 12 or is it 13…I’ve lost count, love isn’t that important. Wait a moment, I hope you don’t think I’m talking about my marriage. Heavens no! I haven’t been married a dozen times and my marriage to my husband is perfect. No, I’m talking about buying a new home. And not a home in the same town or even state but over 1400 miles away. After living 20 years in a restored 1730’s home with a 250 tree apple orchard in a small town in New Hampshire, we were contemplating moving back to Florida where we once lived and raised our children. Considering this would be a major move, we took our time weighing all the decisions. We looked at the pros and cons of staying in our home in New England or relocating south somewhere in Florida. I thought that sharing our experience might be of help if you are thinking of buying a new home in another area of the country. Last year’s weather in New England was brutal. In the month of February, we had more than a 100 inches of snow on the ground and the temperatures were 10 to 15 degrees below normal. While Florida’s hot and humid climate will take some getting used to, not having to deal with snow and ice for extended periods is a real plus. New Hampshire doesn’t have a state or sales taxes but has very high property taxes. Florida has a 7% sales tax but property taxes are low. While food and gasoline prices are higher in Florida, in the long run our cost of living will be a lot less in Florida. Our home in New Hampshire had 13 acres of land with 250 apple trees that needed to be cared for throughout the year. When I wasn’t pruning trees or picking apples, I was on my tractor mowing for days at a time. In the community we were considering in Florida, landscapers takes care of everything for you. As you might guess, Florida won out. We found a builder that had one lot left in a gated community of 48 homes in Vero Beach, a small beachfront city on the Atlantic Ocean. While I would have loved to have built a new home where I could have been involved with all the design choices, I believed I could work with the options we were given by the builder. The process was kind of like ordering from a Chinese restaurant where you chose one from column A and two from column B. Some of the choices weren’t ones I would have considered but were certainly ones that I could easily live with in the home. The new house was finished in April, we put our New England home up for sale in June and it sold in September. The biggest difference between our historic home and the new home is size. Downsizing from about 6500 sq. ft. to just under 2400 sq. ft. was one of the decisions we made to simplify our life but figuring out what we would take with us was daunting as the style of the two homes were so different. We sold our truck and tractors to friends, most of our furniture to the new buyers, gave lots of our treasures to friends and charity then pack up all the rest. My husband stopped counting after 72 boxes were packed. It was hard to believe how much still got loaded into the moving van. We then packed our car and drove south to Florida. In the past, I’ve fallen in love with homes that I’ve just had to have no matter how much work was needed before my husband and I could even move into them. I just knew that if we could buy the house, I could turn it into the perfect home for us. This time was totally different as we were looking to simplify our life and decided on buying a newly built house for practical reasons. We have moved in now and are in the process of unpacking boxes each day and buying new furniture. While it was not love at first sight, the house is slowly evolving into a home where we will feel comfortable and secure. Entertaining new friends, having family get togethers and making memories over the years will make our new home one we will love over the years. I know that we are not the only ones who has been in this situation or will be someday in the future. Sometimes in life, we have to be practical and let our head rule and forget about love. This entry was posted in Uncategorized and tagged downsizing, Home, lifestyle, love at first sight, making a move to a new home, moving to Florida, relocating, simplifying life. Bookmark the permalink. 199 Responses to Was It Love At First Sight? Well done Karen.That’s a huge move! Look forward to hearing about your new neighborhood. Those lovely palm trees are a huge contrast to the NE snow. Florida is a part of the States we’ve never been to, but it’s on the list, especially Miami beach and all that amazing Art Deco; oh and Disney World! All the very best settling in. Thank you Saskia, it was a big move. As soon as we are settled, I introduce everyone to our new neighborhood…it is definitely different from New England. Congratulations on moving into your new home. I’ve seen the photos of your previous home and you have a true decorator’s eye. Your new digs will be gorgeous when you’re done. We moved from our 1921 home to a new home in June. For us, it was love at first sight!! After making the decision to downsize, we chose the community and started to look. The first house we walked into we purchased the next day! We’ve never done anything like that–especially a house! Fortunately, our old home sold in one day and we’ve never looked back. Oh those boxes to be emptied! We still need to pare down a bit. Thank you for your wishes, Judy. From the looks of all my boxes, you have more willpower than I do. Although with no basement or barn for storage, I did have to get rid of lots of “stuff” before the move to our open concept house. Hi Mad Dog, It sounds like you know what I’m going through. My huge pile of boxes in the house have mostly been emptied but our garage is still full. 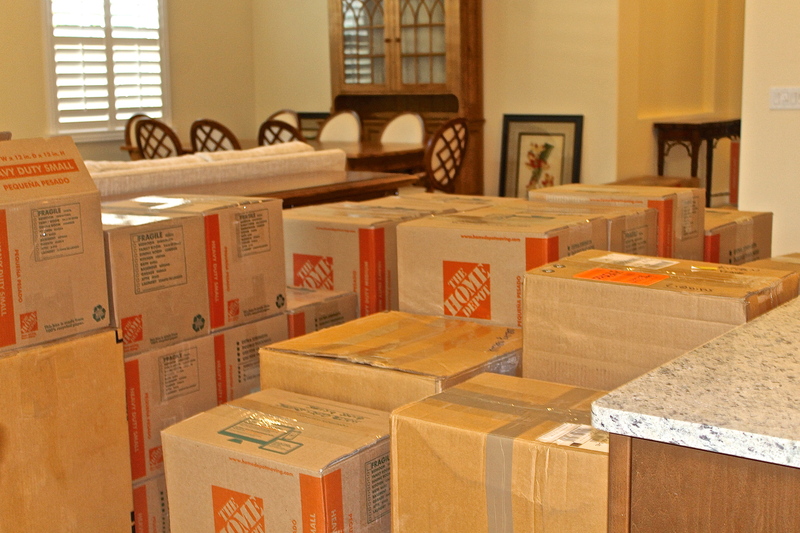 Those are the boxes that I dread going through as the house is filling up quickly. Thank you for your nice compliment about our new home. Wishing you much happiness in your new home, Karen, and that it soon feels really like ‘home’! Thank you for your kind wish Kay, I too hope it will really feel like home soon. I love your new house, Karen, but I bet you will miss snow after a while. Look forward to more pictures of your new home. Hi Angie, I’m glad you like our new home. Once we have unpacked everything, paintings are hung and we get some more furniture, I’ll definitely give everyone a tour. Thank you for your nice compliment. Home is where you hang your hat and now that you have endured 100 inches of snow last year Florida is looking quite good…Love your new beautiful house and I know with a few of your artistic touches, it will feel like home soon. So true Bobbie. Your right about Florida looking good as they are already suggesting that winter in New England will be as bad or worse than last year. Snow aside, I do think we will grow to love our new home. I’m glad to know you like it, thanks. I’m sure when you turn on the news and see all the “feets” of snow this winter you’ll be practically hugging your new warm Florida home. At least you have the move behind you, the fun part is decorating the new home to make it your HOME. Hope your foot is all heeled up and didn’t give you too much grief during your move. Karen, I’m glad you’re finally finished you move and are settling down in your new home. Even though it wasn’t love at first sight it will become your home and you will make it beautiful. Thank you for sharing your experience with us. I was in my twenties when I moved from Germany to the States. It was a heart breaking move, I left everything behind . After living in Massachusetts for two years I moved to California. My husband and I have lived in our current home for almost 30 years . I wish you happiness and lots of sunshine in your new beautiful home. Thank you Gerlinde for your nice wish and comment, it is very much appreciated. We are very happy to have the move behind us and are looking forward to our new life. Hi Sylvia, I’ve thought about you often as I’ve packed and unpacked. My move was a piece of cake compared you yours and I know that you left lots behind including your family. Thank you for your kind thoughts. Congratulations Karen! And yes, envy here. 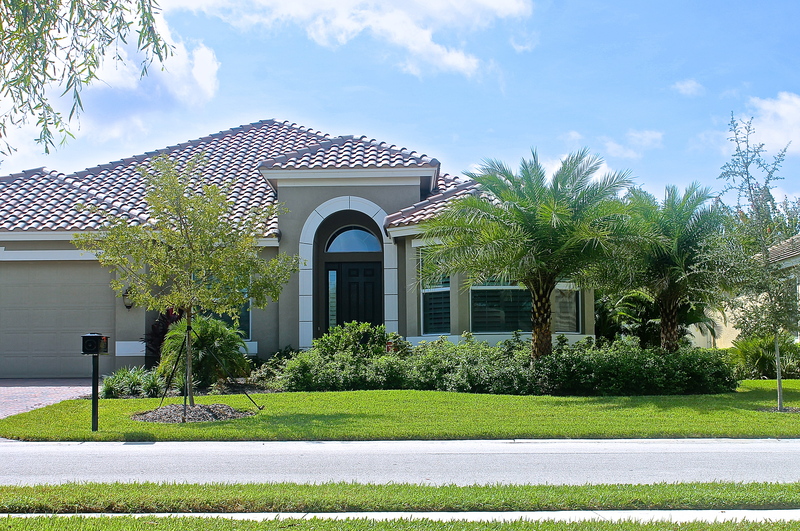 The new Fla home looks nice from the outside, albeit not the charm of the north…enjoy your new stress free life with NO snow…look forward to more photos of the fully decorated house in Vero. So true, Diane…our historic home was full of charm. Loved our years there but we are going to enjoy a less stressful life in our new home. I’ll definitely share more photos in the future. And your photos/posts will prop up those of us who spend our winters in the cold…Be well. Thank you for your kind wish, Fatima…it is very much appreciated. The boxes are getting unpacked and it is starting to feel a little more like home and we are definitely looking forward to making new friends. My foot is getting better everyday but I still have to baby it for another month. I’m sure you will make this home just as beautiful as your last. I love how you have simplified your life but know all too well how difficult that can be when you have to make tough decisions about what to keep. After a year in our new/old house I still have many boxes to go through and once again decide if I really need the contents. I have gotten rid of so much but need to do much more. As it happens in many arranged marriages, I do believe you will fall in love. New plumbing, new electrical, 90° angles in corners, and leak-free roofs are only several of the things that helped us fall in love when moving into a late 20-century home in Tucson. Nothing is perfect, but you will make its os, as did we. Congratulations, Karen – you will be happy! We have both left beautiful New England for a new life elsewhere and I know you are right. While nothing is prefect, new certainly has its advantages especially when it comes to a house. As each day passes, I know I will grow to love our house as we turn it into our home. Thank you for your kind thoughts David, they are much appreciated. Congrats on your new home, it sounds great, FL and all. We are downsizing here too, less is more. Enjoy making the place “home”. We just helped daughter move 1,000 miles (from Denver to Phoenix) and any move is exhausting. I look forward to seeing your finished results and I know you’ll enjoy a snow free winter as do we. Thank you for your wish, Ingrid. As I watch the weather reports this winter, I know that I’ll be very happy with our move. I’ll definitely share photos when we’ve got our home decorated. Hope your foot has healed. Moving to a new house is always exciting and leaving one behind leaves a bit of sorrow. Congratulations, Karen on the new home where you can a new chapter. I agree with you on both counts, Ray. I tried not to dwell on leaving and I’m looking forward to the new adventures that lie ahead. Thank you for your nice wish. We moved to Florida, Tampa Bay area, back in May and will be in temporary housing until Spring 2016. Hoping to buy a house here and make it a home. Finally unpack and settle down for a while. I know I am home where ever Mr. Craves is, however; it feels good to have a nest too. Thank you Renee. We are both Floridians now, just on opposite coasts about 2 1/2 hours apart. We will have to compare notes this time next year…I’m sure we will both be enjoying our new homes. A house is simply the slipcover of your home — welcome to making your new one just that! Aww..you may grow to love it.. I am getting started on putting all the beds to bed..and I don’t feel like it this year..hope to get my mojo back for this next yr..but cutting a summer’s growth on all the beds seems a tad overwhelming right now..fall is late this year.. Enjoy the less work and close to family. Hi Monique, My husband loves the house already and it is growing on me. Less work will indeed give us more opportunities to be with our family…we are getting together for a birthday this weekend. Your gardens are always so beautiful but I do know that requires lots of work on your part…hang in there and enjoy your pretty fall season. 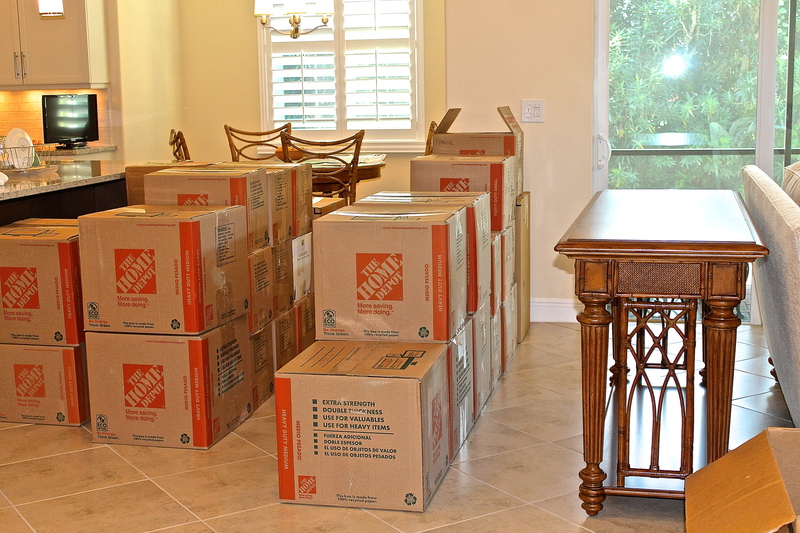 Congratulations on getting the move made – a very daunting task from my few. Now I know why we haven’t heard much from you. Hope you’ll be happy in the new digs. Hi Larry, I so missed blogging but needed to concentrate on getting this move behind us…it really was a daunting task. Once we are unpacked, I think we will be very happy and are looking forward to new adventures. Thank you for your nice wish. Congrats on getting through the sale, move and into your new home Karen. I hope it will be a wonderful place for you. Thank you Betsy, I appreciate your wish. I am sorry to see you leave and head south. I have always enjoyed reading of your adventures and experiences…. Hopefully you will explore, discover and share your Florida experiences. Hi Bishop, We had very mixed emotions but in the end heading south won out. Even though we lived in Florida for years, this area is new to us. I’ll definitely be exploring and sharing my discoveries with all my readers. Thank you for your kind thoughts. Thank you for your kind words and wish, Liz…they are much appreciated. I’ll definitely be sharing photos of our new home when we get settled. My moves/locations were determined by my parents’ job requirements and I’m still living in our last home now that they’ve passed on. I won’t be moving in the future but it’s lovely to have the chance to start over. I love the arched entry and roof of your newest home. 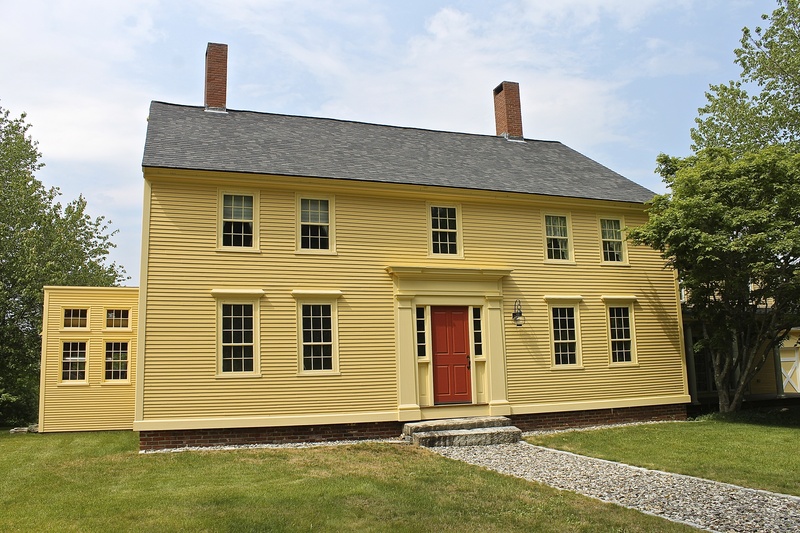 Great to hear you sold the NH home…I didn’t think it would stay on the market for long. Lucky new owners! Hi Marigene, We were pleased that our home sold quickly and that the new buyers love it. I’m sure they will enjoy it as much as we did. Yes, we are looking forward to our new adventure and thank you for your nice wish. There are so many positives with your move, Karen. First of all, you once lived in Florida so are familiar with the climate, the surroundings and, if you still have family there, even better. Secondly, as we get a little older, not having all of the work and care that goes into a home with a huge property will be a huge burden lifted – not to mention the financial benefits. Sounds like a good situation all around! Thank you for your sweet comment, Tanya. Trying to pack up and move with a broken foot was indeed challenging. My foot has almost healed and I’m now in real shoes which makes life much easier. I do think that we will truly love our house as time passes. Welcome home Karen! I’m so happy to hear from you. Are you all healed up now? Congratulations on the house selling and moving. I’m sure leaving was hard. I also know the feeling of not loving your new home. When we moved from MN (a house I LOVED) back to Chicago to be closer to family, we definitely sacrificed on the house. I know your feeling well, but yes, sometimes we have to be practical. And you will make many, many new fabulous memories in the new house. I look forward to sharing them virtually through your writing! Good luck with your new home. We have moved houses so many times (and countries) that I have lost count. Five houses ago I swore I was never going to move house again and this was where I was going to end my days. Now in France I really mean that,, never again!. Your comment gave me a real smile, Diane as it seems we have had similar experiences. We built a home in Key Largo, Florida years back and at the time I said it was going to be the home I died in. That was four homes ago. 😀 Thank you for your nice wish. Wow. Your new house is beautiful. Congrats. It really is such a stressful thing to move. You’ll make it home soon. My parents just recently downsized in both land and house size and they’ve never been happier. I just made your sausage and cannelloni bean recipe again last night and I cannot thank you enough 🙂 May you have many happy years in the new place. Congratulations on your move, Karen! I’ve never made a major move and I have a feeling it takes a fair amount of perseverance and flexibility. I’m sure your new home will feel like home soon! Thank you for your wish, Laura. You are so correct about flexibility and perseverance when moving. As we finish unpacking, our new house is starting to feel like home. Your new home is as beautiful I it’s newness as your former one was in it’s historical – ness, I know it was a huge job and then with your injury – it probably took what seems like 2 lifetimes to get done. I cannot wait to see how you decorate for Christmas! I love your decorations last year so I know you will have spectacular decorations this one as well! Hi Lorraine, Thank you for your compliment on our home. We’ve thankfully opened and put away about 60 of those boxes. It gets more challenging to find places for everything with each box that is left. Thanks, Plumdirt. I know you’ve gone through a move recently as well. I really do think we made the right decision Dawn. Even though there will be much that we will miss about New England, feet upon feet of snow will not be one of them. I’ll be very pleased to share photos with you when our new home has been turned into a home. Thank you for your lovely comment. There’s nothing like surrounding yourself with your own things to make a house your home. I myself hate the extremes in weather, but as you’ve lived in Florida before and raised children there, you’re not likely to have any problems. Enjoy your new home, Karen. Hi Mary, I agree with you. The little things that we bring with us to each house we furnish definitely help create that warm familiarity that changes the house into a welcoming home. Thank you for your nice wish. Thank you so much Debra for your kind thoughts. It was hard leaving our New England home but I do think we will be very happy in Vero Beach, especially after we start making new friends. You are so right, I think February might become our favorite month of the year. 😀 My foot is much better but I do still have to be careful for another month or so as it is still tender…thanks for asking. So happy for your new adventures. Enjoy, enjoy, enjoy! Hi Sheila, We are looking forward to this new adventure in our life. Thank you for your wish. As a person who has moved regularly and steadily throughout her life, your full boxes are my own personal nightmare. On the other hand, it’s fun to find places for the treasures you did decide would make the cut. Best wishes for a long and happy life in your new home, Karen! Hi Stacy, You do know where I’m coming from. I hated leaving so many of my treasures behind but the ones we brought with us are all the more special now. Thank you for your nice wish. Congratulations Karen. You’ve really accomplished A LOT in a short period of time and I’m so pleased for you. We are right in the middle of doing what you’ve already done – our house in the mountains sold several weeks ago and we’re in the midst of packing and getting down to one house in Florida. The blending of two homes will be a big challenge, but I’m going to take it slow and make it work. Hope to get together one day with you when we both get settled. I appreciate your kind wish, Sam. It is a big challenge when you are trying to blend two homes into one, especially when the styles are different so my thoughts are with you as you pack. I too hope that we will be able to get together in the near future…we have so much in common. Thank you. “the house is slowly evolving into a home where we will feel comfortable and secure” — I’m glad to hear that, Karen. While it will take some adjustment, as you say, I’m sure it will be wonderful not to have to worry about the harsh New England winters and cope with freezing temperatures. Hi Grace, After last year’s brutal winter, we decided it was time to head south. As each day passes and more of the boxes are unpacked, our new house is starting to feel like home. Thank you for your wish. Karen, this will soon become a distant memory as new ones are made in your new “home.” Just look how far you’ve come! Congrats! Hi Kathryn, I know that you have dealt with moving and living with boxes and I appreciate you sweet thoughts. Thank you! Hi Charlie, We are doing real well with the boxes…only about a dozen left. Our new home couldn’t be more different but I think we will enjoy the change. My foot is much better, thank you so much for asking. So pleased you are all moved into your new home. It looks lovely. We moved 96 boxes to Spain last year. Moved from 1350 square feet to 750 square feet. I had to get very creative in finding places for things. (This is our second downsize) Has your foot healed well? Hi Darlene, Finding places for everything you bring with you is hard and I know your downsizing move to Spain was way more challenging than mine. My foot is still tender but is healing well, thank you. Thank you for your wish, Rosa. You are right, moving has to be one of the most stressful things we do in our life. Your new home is beautiful Karen but I can see how it’s a bit of an adjustment. Such different a world you’re having to transition into. You’re right, it’s family and friends though that matter in the big scheme and they will make that house a home! Hi Chris, Our move has given us lots of changes to adjust to but I think in the long run we will be very happy. Thank you for your nice compliment about our home. You have a lot of work ahead of you but I’m confident you can handle it. And you will make that house a home. Hi Jane, We are making progress…each day some boxes disappear and the rooms are coming together. Thank you for your confidence, it is appreciated. Dear Karen, how nice that you found a beautiful new home and that your move went smoothly and that you have started to settle in by now! Your new house looks like a beautiful new home and I can only imagine that you will transform it into one amazing place to live in! Good luck with everything and a smashing start to a new chapter in your life! Your new house is beautiful!! Enjoy it! We have also just moved into a new house and a new town!! Hi Aletta, It sounds like we have a lot in common. Let’s hope we both have a lot of happy moments in our new homes. I appreciate your nice compliment, thank you. Thank you Nancy, I’m happy to know that you have enjoyed reading about our downsizing to a smaller home. I wish you all the best as you and Bill go through the same process. We have many friends who now own a second home in Florida or Arizona, we’ll definitely be taking advantage of some warm weather breaks with them. Will you have a small garden in Florida? My friends from Illinois sold their house and will summer in Wisconsin and winter in Arizona, they have some potted citrus trees which I can hardly wait to see in February. I am not looking forward to winter this year. I can’t wait to see what you’ll do with your place, you have a lovely decorating style. Hi Eva, I’m sure you will enjoy the visits with your friends when you want to escape the cold. I’ll plant herbs in a small section of our back yard once our gutters are in place…not much room for anything else. Thank you for your lovely compliment about my decorating style. I’ll definitely share photos of our home once we are a little more settled. It was so interesting reading this post about making different decisions as the stages in our lives change! As I have recently turned 60, I realize my working days (for someone else at least) will end in 6 years and thus our income will change. We are making decisions now that will help us be able to make smart decisions down the road and not desperate decisions. But I am not ready to leave our acreage yet, and am hoping to stay for a minimum of 10 more years. I do know that we won’t return to Iowa or Ohio where my husband and I are from, and God willing, we’ll stay in the warmer southeastern region that we’ve fallen in love with 20 years ago. Looking forward to seeing everything that you do with your lovely new home! Exactly Roz, Our orchard was a lot of work and winters were very harsh to say the least. We want to spend more traveling and with our new home, we can lock the door and not worry. I’ll definitely share more photos of our home once we get it decorated with art work on the walls, etc. Thank you for your lovely comment. Thank you for your wish, Ksenia. You are right, winter in New England is something I won’t miss but spring and fall is something else. The nice thing is that we can always go back for a visit. A lovely post. In a few years, we’ll be making the same decision. Downsizing isn’t easy (especially when you start with such a huge house – wow!) but I’m sure it will all be worth it once you’ve moved it. Thank you Beth, I’m glad that you enjoyed the post. Each day that we are in our new home, we are happy with our decision to downsize…it’s so much easier to take care of. Congratulations Karen, sounds like you guys put a lot of thought into the move, winters will now be a breeze. Thank you Tandy, Decorating a home is always the fun part. I think we are making great progress with the boxes, only about a dozen left now. Although the last ones will be the hardest…trying to find places for everything can be a real challenge. Thank you GG, for your nice wish. Moving to a town where you don’t know anyone is a little hard but we think we will be very happy with our move once we are settled in and have our home decorated. Your new home looks beautiful! I would choose Florida myself, since I’m more of a warm weather person! Thank you for the compliment about our home Nancy. I’ll miss the four seasons of New England but a warmer winter will be most welcome. Excited to see the journey of your new home and all the memories you will share there! Thank you Pamela, we are happy to be settling into our new home and are looking forward to new adventures. Karen, John an I struggle with what we will do when he retires. Move or just travel to warmer places. It’s such a big decision, and not always clear cut answers. I know you will love your new home and state! Enjoy your new home! The last time we moved Judy had to do the house hunting on her own. When she saw our current house she made an offer first and called me later. Congratulations on being moved in, Karen. And enjoy the process of making this new home truly yours. I appreciate your nice wish, Jean…thank you. I’m looking forward to the day when I have the house just right for the two of us. I know you will make your new home a lovely place. Vero Beach is a great area. We have loved living in Florida part time for the past 10 years. Even though we will be selling our house, we will still return each winter and rent somewhere. Love the way your house looks with all of the landscaping. I was smiling as I was reading this, Karen, because I’ve gone through all those emotions as well. When you’re a true nester and your surroundings are really important to you, there is so much to consider when moving. It really is best to let the head rule sometimes though and congratulations on a great move and easier lifestyle. Florida is so beautiful! Hi Robyn, I can’t believe how much we have in common both in our lives and cooking…even our mother’s silverware. Yes, I do think that our surroundings play a big role in our happiness. We wanted to make sure that wherever we decided to settle that we would feel comfortable and I believe Vero Beach was the right decision for us. Thank you so much for stopping by and sweet comment. I’m late getting to this — been on vacation the last month. Anyway, congrats on the move! Lotta stress, I know. We’ve moved a bunch, too — just counted up, and we’re on our 13th address since we’ve been married. Longest we stayed at any one address was 11 years. And we ended up moving 3 times in ~2 years before we landed at our current location! Thank you Juliana for your very lovely compliment…it is much appreciated. This house will be decorated very differently from our last home. I’ll share photos in the coming months of our new look. Wishing you all the very best in your new home. with your decorating skills, once you have unpacked and everything is in its place I know your home will be just gorgeous, I am looking forward to seeing photos. Congratulations on the move as well as the sale of your NH home. You’re NH home was so lovely and unique but you have such a wonderful eye for style that I’m betting your new home will be stunning. Oh, the unpacking part…I do hope that’s going well. I keep looking at homes – not a distance move but something smaller and maybe a little closer to the city but seriously, I just have not been very impressed with what’s on the market in the Boston area for smaller homes. I haven’t been tracking the hurricane that closely but I certainly hoping that you weren’t affected. Hi Diane, We were happy that our home sold quickly as our new one in Florida was patiently waiting for us to move in. I believe we are going to be very happy, we certainly didn’t need such a large home for just two people. Thank you for your nice wish. We were lucky that the hurricane stayed off the coast and didn’t affect us. Congratulations on your move and new home in Florida, Karen! Since you once lived there you and your husband will adjust quickly to the weather and lifestyle. You can always travel during the hot humid weather in the middle summer months. A friend of mine that lives in Coral Gardens, FL, rents a house upstate NY during the summer to escape the heat. Thank you Pat, for your wish. I think adjusting to the lifestyle won’t be much of a problem. Getting used to the humidity in summer will be a little harder but as you say, we can always travel to cooler locations then. I’ve enjoyed keeping up with your new life in Colorado and I know that being close to your family has to be so nice. WOW! The house looks gorgeous! It’s such an awesome news! Congrats, Karen! Hi Debbie, I totally agree with you. February will probably become our favorite month of the year now that we are living in Florida. 😀 Thank you for your nice wish. Home is where the heart is, and I know you will make this one as warm and welcoming as your last. My, but what a change. It really sounds like you made some smart and well thought-out decisions. We’ve been dealing with a beast of a remodel for over a year now, and so I do envy you your home! Enjoy the sunshine and get those boxes unpacked! Hi Adri, I appreciate your sweet comment…thank you. Your remodel has been more like a total rebuild. Hang in there as the end result will make it all worthwhile, I’m sure. Thank you for your kind words and wish, Jo. I like both yours and your friends thoughts about our home. Each day that passes, our house is feeling more like home as it slowly comes together. Congratulations to you and your husband! What a beautiful home! I can understand why it was so hard to move from your lovely home, but 100 inches of snow would be sending me south that’s for sure. Thank you MJ, for your nice compliment about our home. You are right, last winter’s snow has many New Englanders thinking about heading south. Congratulations on your new home and your decision to move! I actually always somewhat secretly dream of living on a apple orchard, but I probably wouldn’t want to do it forever! It sounds like you made a very good decision. I’m so excited for you!! Your new home looks beautiful and, with your decorating abilities, you’re going to turn this house in something spectacular! As you may know, I ‘took the summer off’ (although I hadn’t planned to…) from both blogging and ‘following’ – but I’m back now and so happy to ‘hear’ about your news!!! Wishing you all the best!! Thank you so much Cecile, for your kind words…they are much appreciated. Welcome back to the blogging world…I’ve been missing a lot as well with this move. The rule of thumb in our family is that when you get the last box from your previous move unpacked, it is time to move again. Your new home looks beautiful, but I am sure you will miss your yellow farmhouse. Your comment made me laugh Darryl. When we were packing up our basement, I had boxes from our previous move that had never been opened. 😀 We will indeed miss our pretty yellow farmhouse, we thought it was very special. Thank you for your nice compliment. Wow! What a post! We have been thinking of downsizing and moving to a place without such a huge yard (no apple orchard though!). We bought a new home many years ago and later sold it to move into this rambling, late 50’s ranch style home. We often reminisce about the new home and how easy it was to maintain. I can tell that you are already settling in and will be so very happy to experience a Florida winter! Hi Deb, I’m glad that you enjoyed the post…thank you. There really is something to be said about a new home. We can lock up our house, travel and never worry about frozen pipes again. The association even takes care of all the landscaping, including the sprinkler systems so no worries. Moving to new home opens new perspectives. It is like having new life. All the happiness tour new home. I like your sentiments about a new home Sartenada. Thank you so much for your kind wish. Hi Laila, Yes…sometimes the voice of reason needs to be heeded and in the end it makes perfect sense. Thank you for your lovely thoughts, they are much appreciated. Thank you Amy, for your kind wish. I’m glad that you like my thinking. My husband and I believe we will be very happy in Florida even though we will miss New England. Congratulations on that big move! And the big lifestyle change. I’ll really look forward to hearing about getting settled. We did that last year, downsized from our home of 25 years and I love everything about our new place. So much fun starting over. I hope you will be very happy in your new home! Hi Zirkie, I appreciate your visit and nice wish…thank you! CONGRATULATIONS! It’s such a great news! I wish you all the best in your new home! Thank you Marcela, My husband and I think we will really enjoy our new home. Thank you for your nice wish. Thank you Gloria, for your lovely wish. I hope you enjoy your new home and the fabulous Florida weather! Thank you Ladyfi, for your wish. While we will miss New England, we think we are really going to enjoy our new Florida home. It’s soooo cheesy to say ‘home is where the heart is’ but it’s so true! All changes appear daunting and then have so many silver linings it’s amazing. All the best with your new home and your new sunny humid life! Moving is such an emotional journey. Getting from A to B is never easy, but how wonderful is a fresh change & a clean start. I remember your wonderful home & beautiful details. I’ve no doubt that your Florida home will bring a new wave of freshness & creativity with it too.